Rome is one of Italy’s most popular tourist destinations, yet many visitors miss the opportunity to enjoy truly authentic Roman cuisine. 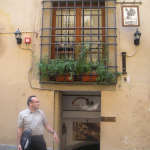 The unique specialties of Roman cooking reflect the ancient city’s rich history and varying cultural influences, from the offal meats first prepared by the butchers of the Testaccio district to the Jewish traditions followed in the Roman Ghetto. Pasta is of course a mainstay of the Roman diet, but you should be sure to try those preparations and sauces which are most typical to the region instead of generic “Spaghetti Marinara” or “Fettucine Alfredo” as may appear far too often on Roman restaurants’ “Menus Turistico.” What follows are 10 specialties of Roman cuisine you should try to enjoy when visiting the Eternal City. 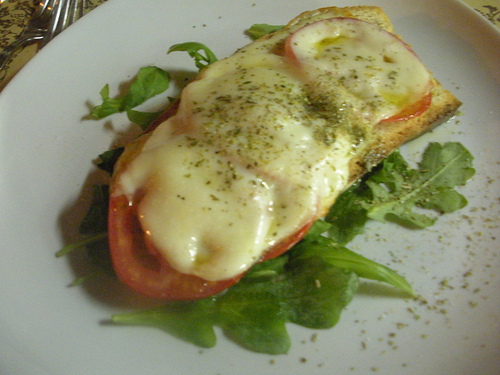 Bruschetta is a Roman specialty, found in almost every restaurant’s list of antipasti. The most simple and authentically Roman approach features grilled bread simply rubbed with garlic and olive oil, but other more elaborate toppings are popular as well. Olive paste, chicken livers or chopped tomatoes and basil are also popular toppings. 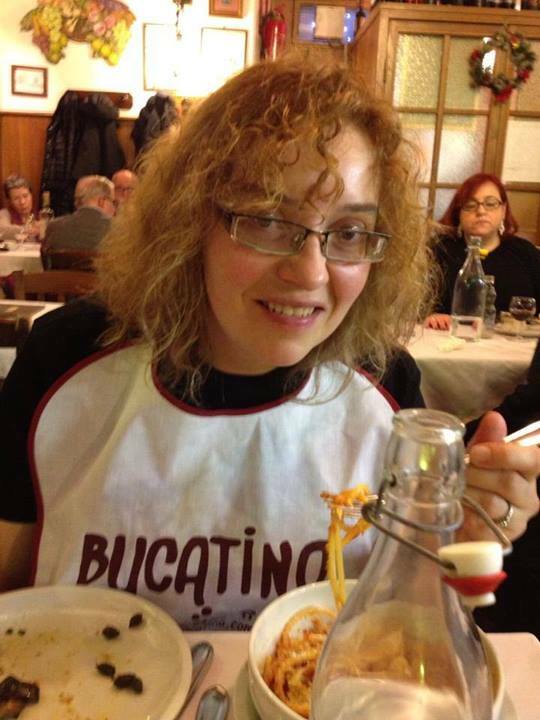 This most traditional dish of the Jewish Ghetto of Rome is an absolute must to try when in the city. 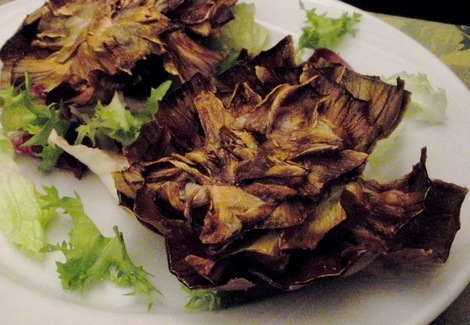 Roman artichokes are so uniquely tender that they can be eaten in their entirety, as is the case in this recipe. Young, tender artichokes are flattened, seasoned, and fried in olive oil until crisp. I have never enjoyed this specialty outside of Rome and had it so consistently satisfying, light and delicious. Deep-fried squash or zucchini flowers are extremely popular in Roman cooking, when available. These delicate flowers can only be enjoyed for a brief season every year and must be cooked when absolutely fresh-picked. Typically they are stuffed with a mixture of breadcrumbs, anchovy fillets, olive oil, parsley and a touch of cheese before frying. You may also find them used in Roman pasta dishes and salads as well. This Roman specially actually takes its name from the small town of Amatrice and is perhaps the most famous of Rome’s pasta dishes. Featuring a hearty sauce of lard, bacon, onions, tomatoes, wine and Pecorino cheese, it may also be served over heavier bucatini noodles which complement the rich flavors well. Few dishes could be simpler than this traditional Roman pasta, which features little more than the finest Pecorino cheese, pepper, and a touch of oil or lard if necessary to wet the noodles. 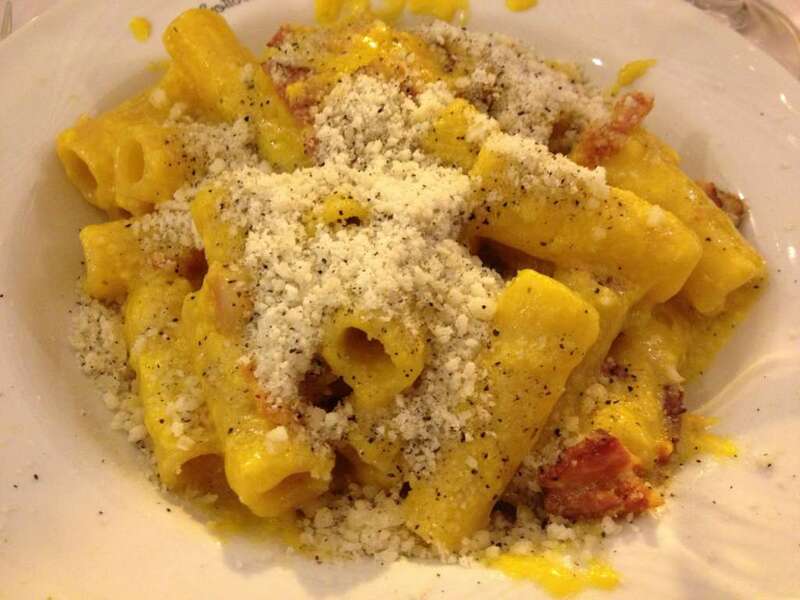 Indeed, Roman cooking is often simplicity at its finest, as exemplified by this pasta course. The origins of Carbonara sauce is greatly disputed. Some claim it is a 19th century Neapolitan creation, others believe it originated after the end of World War II as a use of American troops’ bacon and powdered egg rations. Whatever its origins, this pasta dish of bacon, lard, garlic, eggs and cheese is a favorite of many, as the creamy sauce thickens while mixed with hot pasta for a very satisfying meal. Saltimbocca literally translates as “jump in the mouth,” which this traditional veal dish should do if prepared well. Though actually a recipe which originated in Brescia, it became so popular in Rome that it became far more associated with the latter city. 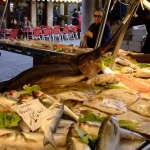 Thin pieces of veal are topped with ham and sage, and cooked quickly in a sauce of white wine, butter and seasonings. Offal meats are a traditional part of authentic Roman cuisine. The old slaughterhouses of Rome were all located in the Testaccio district, and butchers (vaccinari) were often “paid” for their work in pieces from the “fifth quarter” of animals that the higher classes would not eat: head, tail, tripe, brains and feet. These butchers learned how to slowly cook these meats with herbs and spices to bring out their intensely robust flavors. Oxtail stew is one of the most famous of such preparations, using vegetables, red wine, garlic and numerous spices to transform oxtail into a delicacy fit for a king. Another traditional “fifth quarter” dish from Rome’s Testaccio district is slowly stewed tripe. It can be prepared with either a meat-based or tomato sauce, seasoned with vegetables, cheese and mint. 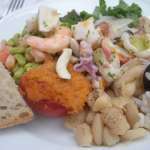 Seafood is not a major part of Roman cuisine, but this Jewish specialty is still prepared today by many kosher restaurants in the Ghetto district. The salt cod takes time to prepare as it must be soaked in numerous changes of cold water until softened, yet it has a unique flavor and texture worth sampling. It is typically served either fried or as part of a light stew with vegetables such as carrots, cherry tomatoes, and potatoes. * Boni, Ada. Italian Regional Cooking. New York: Bonanza, 1969. Print. * Rome. New York: DK Pub., 2006. Print. 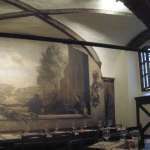 This entry was posted in Italy and tagged best of, italian food, italy, rome. Bookmark the permalink.